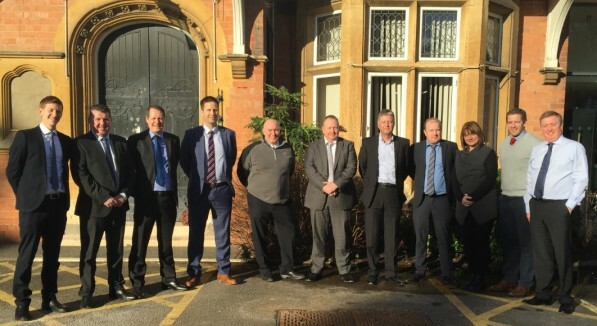 Our 3rd annual UK Sales Agents Conference recently took place in Woodland Grange Hotel at Leamington Spa. We were delighted, once again, to meet with all of our UK Agents for a review of 2015, marketing updates, market discussion and of course a bit of fun! Attendees (L-R): Zack Andrews (Adamson Agencies), Neil McKay (NJM Agencies), Liam Prendergast (ATC), Matt Smith (Matt Smith Agencies), Julian Duke (Julian Duke Agencies), Gary Bairstow (GB Enterprise Solutions), Mark Heaton (Julian Duke Agencies), Mike Adamson (Adamson Agencies), Laura Murray (ATC), Pete Massey (White Rose Agencies) and Ciaran O’Reilly (ATC). We are also delighted to announce Sarah Al-Masrey as our newest UK agent. Sarah will be Sales Agent for South East England and South London, effective 1st March 2016. Sarah comes with an excellent reputation for service and support and we look forward to working with her in the months and years ahead.